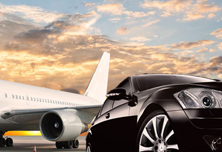 Private Departure Airport Transfer: Nevsehir Airport to Cappadocia Hotel Finish your Cappadocia trip with professional, competent and reliable transfer with clean, air-conditioned and comfortable private vehicle and professional drivers from your Cappadocia hotel to Nevsehir Airport. Benefit from a quality prestigious private transport service at competitive prices. Ensure that your booking and transfer go as smoothly as possible. An experienced driver with proven customer service skills and an extensive knowledge of the local area will pick you up from your hotel in the Cappadocia region and take you to Nevsehir Airport by an air conditioned vehicle. With exceptionally competitive prices, and significant discounts for groups, Turista Travel transfer service is an affordable option available 24 hours / 7 days for getting you to the airport. When making a booking, you will need to advise your flight details and your hotel accommodation details. Your transfer will be confirmed instantaneously and you will be provided a travel voucher to present to the driver. Approximately 24 hours prior to your departure from Cappadocia, you will be required to reconfirm exact pickup time and place (contact info will be provided on your confirmation voucher). Price is per person, based on 8 adults per car/vehicle. The duration of transfers are approximate, the exact duration will depend on the time of day and traffic conditions Price is per person, based on 8 adults per car/vehicle.